In a few different broadcasts over the past year, I’ve messed around with some of the various filters and effects available with the free version of Nicecast and found its dials and visual interface both a lot of fun and helpful in the makeshift studios I’ve set up in my classrooms and house. With a new one-man-band on the horizon, an extension of a #ds106 Visual Assignment, I turned to Nicecast and recorded a live session that yielded the following tracks. Ladies and gentlemen of Camp Magic Macguffin, I give you Dactyloceras lucina! Not generally in my “wheelhouse of sound,” I was going after a certain, heavy, atmospheric texture that seemed appropriate for my randomly generated band name and album cover. “Goth soul,” Alan Levine calls it, which GNA Garcia clarifies as “rhythmic Emo-noise,” which is what I think I managed to create. First of all, let’s hear it for the power of goth-soul, brother! I am really liking the idea of an audio assignment that builds on a design one- what if the task were to take one of the existing fake album covers and create the sound that band would be, whether the design was your own work or someone elses? 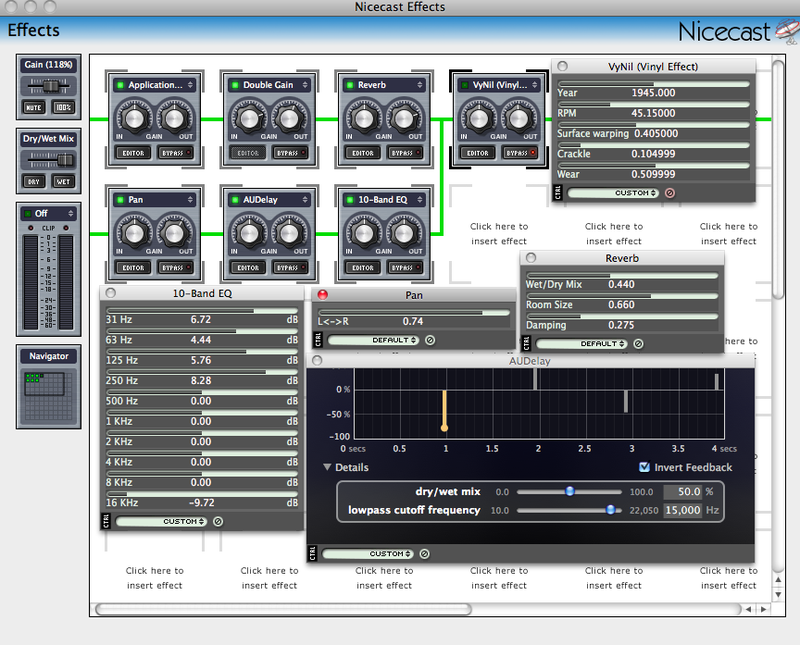 And I would be very interested in some sort of tour of the crazy array of Nicecast effects.